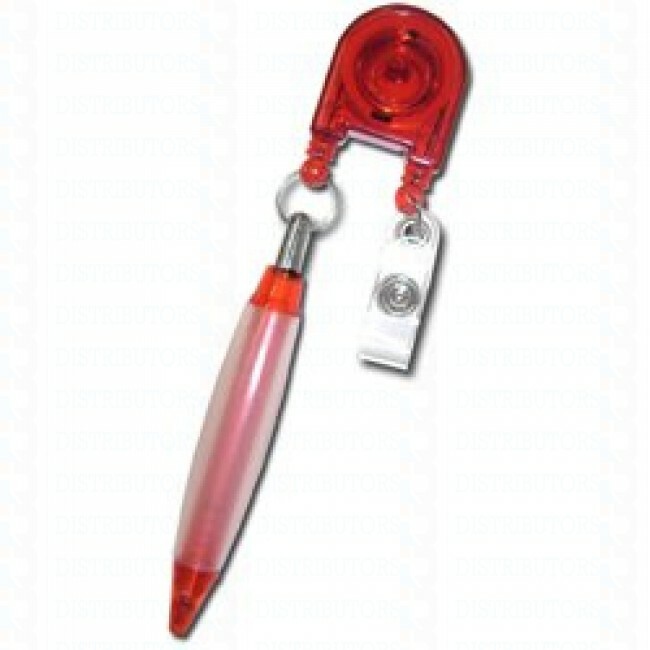 Badge Reel - Dual Reel with Pen - Red , 100 Badge Reels / Pack - This easy to use Red Badge reel and pen combo makes for ease of use for the one stop place for all your needs. This easy to use and load Badge reel/Holder can give you both the access you need and a quick easy way to have a pen handy. You can check in and do all the things you do in your very active job. Keep your access ID safe and flexible with the use of the Dual Reel with Pen.